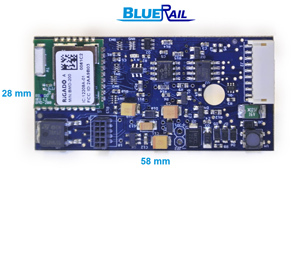 UK, EU, Aus and NZ customers please order board through a retailer in your area. Please review the information below and Our First Board page to confirm this board is appropriate for your locomotive or layout use prior to purchasing. 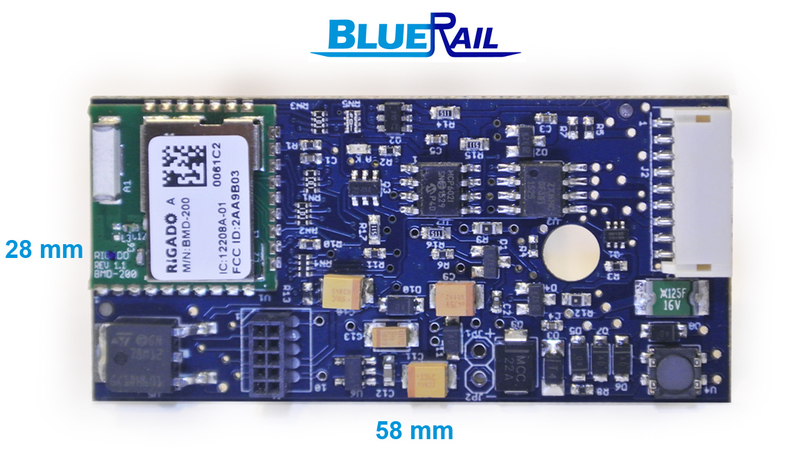 Our online User Guide should provide all information about the BlueRail App, as well as links to technical documents regarding installation. If you plan on attaching a battery to your board, please order the “Battery Power board” which comes with two leads pre-soldered in place. 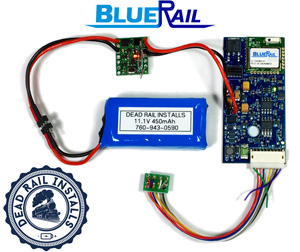 The Dead Rail kit includes a board, lithium protected battery, magnetic reed switch, a 9/8 pin wire harness, and all connections (assembled). The harness included in the kit is a 9 pin NMRA JST plug to 8 pin NMRA plug. 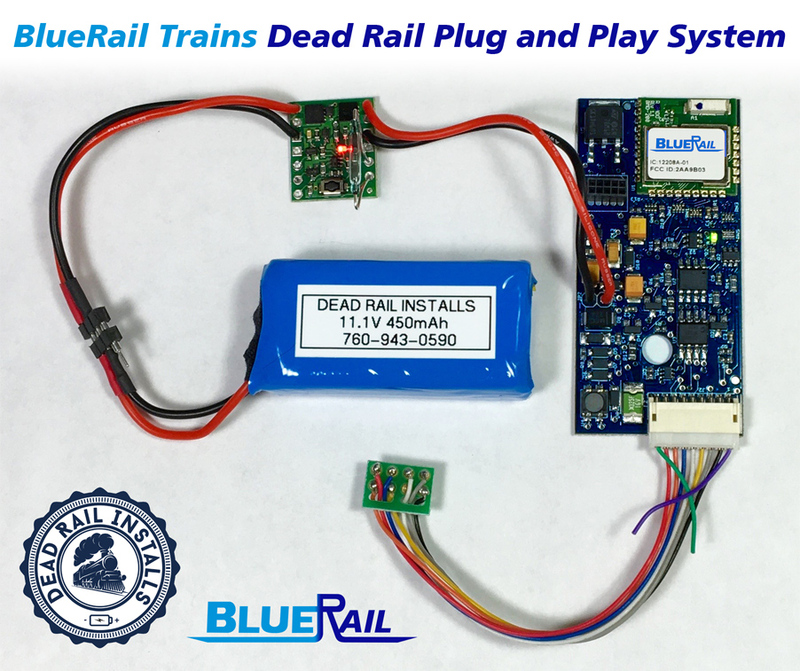 For a DCC-ready train it is completely plug and play. Click here for installation details. 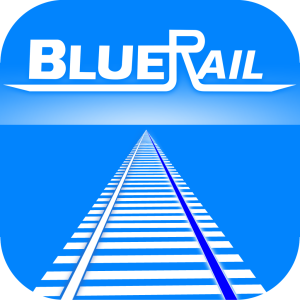 The BlueRail iOS and Android apps are available now as a free download. Compatible with Bachmann E-Z app, the BlueRail app offers configuration options not available in Bachmann E-Z App and targets DIY users, and includes Advanced tuning settings (for slow speed operation), Ditch Lights support, and Chuff Rate calibration. 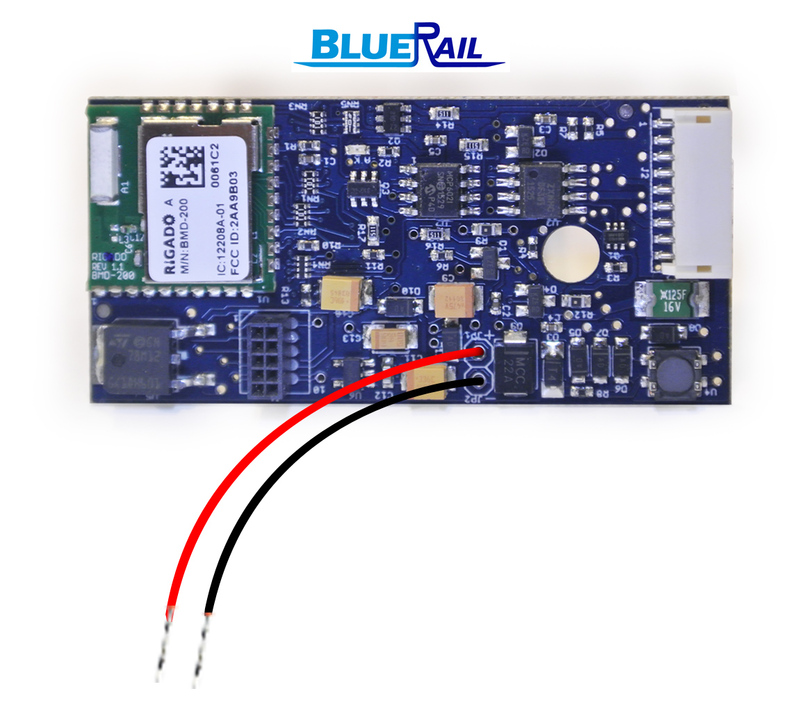 Retailers interested in retail and installation should contact Retailers (followed by the @ sign and bluerailtrains.com).